Incumbent Tel Aviv Mayor Ron Huldai wins 45% of the vote in the city. His deputy Asaf Zamir won 35%. 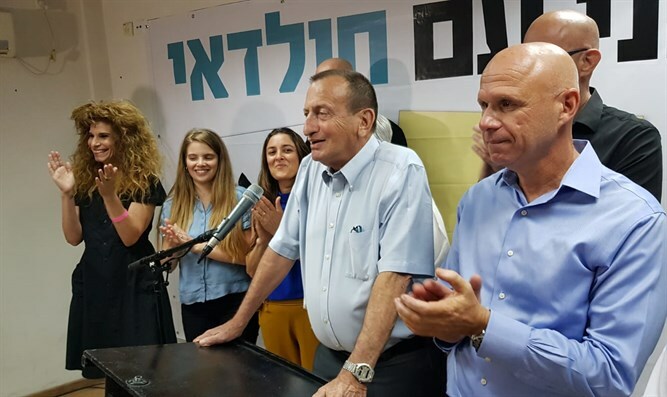 Incumbent Tel Aviv Mayor Ron Huldai was reelected for another term on Tuesday. After 62,000 votes were counted in the city, Huldai received 45% of the vote. His deputy Asaf Zamir, who challenged Huldai for the mayoral position, won 35%. The other two candidates - Natan Elnatan and Assaf Harel - received less than 14 percent of the vote. Zamir, who arrived at his campaign headquarters, gathered his activists and conceded defeat, saying, "I am proud of you and the clean campaign we conducted. The ‘Rov Ha’ir’ faction will continue to be an influential faction and a driving force for changes for the residents of Tel Aviv." Huldai told his activists after his victory, "We will continue to run the city, establish a good coalition and do everything properly. I'm going back to work tomorrow." The mayor then mocked the journalists who were present and said, "I told you that you did not see any polls because there were none, you just created a drama."